Here at Fragrance cosmetics perfumes, we like to think we have the fragrances and cosmetic essentials to make you look, feel and smell beautiful. No matter what you skin tone is we have a large range of eye shadows and lipsticks in our cosmetics section for you to chose from. We also have many designer fragrances available, from the fresh and floral to the oriental smelling scents. 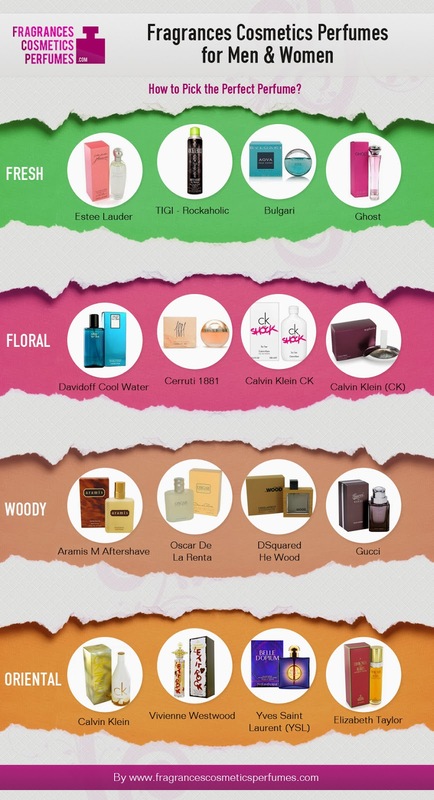 Below we have devised a small infographic to help you chose which fragrances to buy for your loved ones or maybe to treat yourself with this Christmas, but also remember we have many more perfumes and aftershaves available on the website along with cosmetics such as Barry M cosmetics and the Mac range.